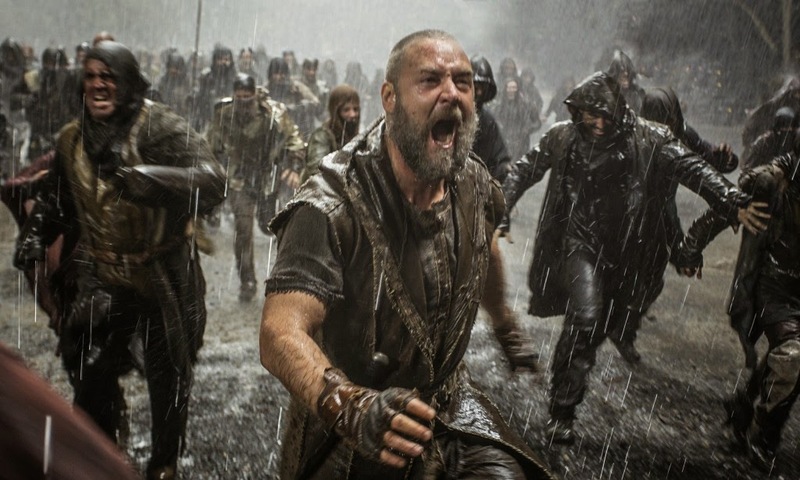 Noah, Darren Aronofsky’s very unique big-budget interpretation of the Creation of the Earth and the story of Noah and his Ark, is loosely drawn from Chapters 6-9 from the Book of Genesis. This is a mammothly ambitious project and is, as expected, visually splendid with periods of brutal conflict and immense tension. Aronofsky has layered his film with elements of fantasy, promoted concepts of theistic evolution, and in elevating this human story of good vs. evil (opponents on both on the surface of the Earth and within our very souls) to a grand scale has left his recognizable stamp on the Hollywood blockbuster. Russell Crowe gives his best performance in years and Clint Mansell’s compositions are still echoing in my ears. Noah offers something distinct and memorable, and I was absorbed into the story immediately. Unfortunately, there are some elements – perhaps the result of tight studio pressure – that don’t work so effectively and stifle its complete success. While Noah is perhaps the most wildly inconsistent film yet from Aronofsky, showing such assurance in his bleak, affecting character-driven dramas, Requiem For A Dream, The Wrestler and Black Swan (though it has the most in common with The Fountain, his underrated masterpiece), it leaves a viewer questioning just how far they are willing to go for what they believe in. For better or worse, conventional it is not.